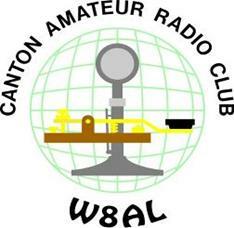 Press Release/Information Bulletin – 26JUN2018 | W8AL - Canton Amateur Radio Club, Inc.
2018 Planned Activities, ARRL FIELD DAY, DMR and More. Ohio is 5th In the USA with 28,000 +/- Amateur Radio Licensees. In Stark County (Ohio) over 1000 Amateur Radio Licenses have been issued to people of all ages. Many of the Stark County Radio Amateurs are Members and/or Friends of The Canton Amateur Radio Club. The CARC Members & Friends, Breakfast is the Second Saturday of each month at; MENCHES Bros. Rest. 4887 West Tuscarawas St. Canton, Oh. At 08:30 am, Parking at the West Side of the Bldg. NO Steps and Wheel Chair Ramp at the door. Hope to see you July 14th. The office of Secretary is presently not filled, All available parties are asked to contact President Dale Lamm NX8J. Your 2018 annual CARC Dues are past due, Associate Member is S10.00 and Full Member is $20.00, payable at the July 18th Meeting. The 2018 CARC FIELD DAY preliminary report will be reviewed. Watch the CARC FIELD DAY PICTURES on the Big Twin Screens. 34 Radio Amateurs and 8 Non licensed persons participated, Including 6 Radio Amateurs licensed since last years Field Day. The regular stated meetings of the CARC are held on the third Wednesday of each month at 7:30 pm in the Training Room of the Stark County EMA/E0C, The Lower Level of the County Safety Bldg. ( West of the County Jail & Sheriff Dept.) 4500 Atlantic Blvd. N.E. ( Rt. 62), Look for the New Direction Signs in the Visitors Parking Lot and Bldg, Lobby. NOTE: Entrance Door Attendant on duty from 7 PM – 7:25 PM. ( This location is a secured location) Hope to see you July 18th. The CARC meets at other times and locations for Community Related Events such as: Supporting and Conducting License Classes, Annual Awards Banquet in January, ARRL FIELD DAY, the end of June , OHIO QSO PARTY (Annual Plaque Sponsor) and OHIO State Parks Contest in August, Jamboree On The Air (JOTA) Scouting Largest Event in October and Seven Ranges Scout Camp is the Summer operation location (QTH) for Station KT8BSA.